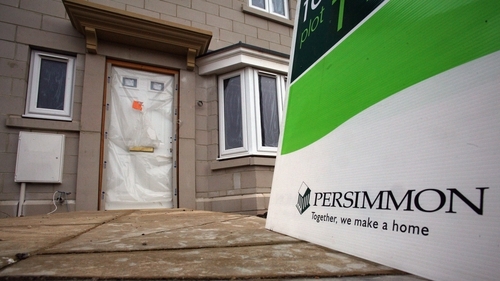 The boss of Britain's second-biggest housebuilder Persimmon is to step down after the board said criticism of his multi-million pound bonus was a continuing distraction that had hit the company's reputation. Jeff Fairburn was the highest paid FTSE-100 chief executive in the financial year ending 2017. He received £47.1m, more than 20 times his pay in 2016, largely due to a long-term incentive plan dating back to 2012. His total bonus package was originally worth around £100m, dependent on the firm's share price, but was scaled back earlier this year to roughly £75m in the face of media criticism. He had hoped to draw a line under the issue with plans to also set up a charitable trust. But just a few weeks ago, Fairburn hit the headlines again after refusing to answer questions from a journalist about the size of his pay packet. "It is clearly now in the best interests of Persimmon that I should step down," he said. Fairburn, who has been in the business for 29 years, is due to leave the company on December 31. He will be replaced on an interim basis by group managing director David Jenkinson while the board finds a permanent successor. Fairburn became CEO in 2013 as many builders began their strong recovery from the 2007-08 financial crisis and subsequent recession, with the firm more than doubling its market capitalisation to £7.5 billion during his tenure. Some UK housebuilders have faced criticism for their bosses' remuneration packages and bumper profits which have been helped by a government 'Help to Buy' scheme, which offers buyers the ability to purchase a new-build home with a small deposit. Excessive corporate pay has attracted public ire since the financial crisis and Prime Minister Theresa May has denounced the yawning gap between the pay of bosses and average workers. Persimmon continues to post strong results, saying today that sales since it reported half-year results on August 21 were up 3%.